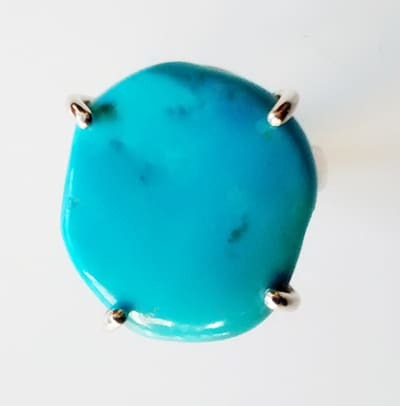 Size O silver ring, claw set with an irregular nugget of natural turquoise from the Sleeping Beauty mine. 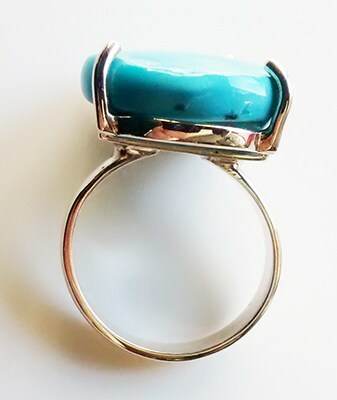 The stone is 19.5mm x 18mm and 4.5mm deep. The shank is 3.5mm wide.